The Arizona State football team find themselves ranked in the top 25 for the first time since the 2015 pre-season. The hard fought win over then #15 Michigan State could leave a team set up for a letdown going into the following week. Coach Herm Edwards’ message to his team, “Stay humble and hungry,” looks to have resonated with his players going into Saturday Night’s match up at SDSU. The Aztecs are another physical opponent. Let’s take a look at what to watch tonight. The Sun Devils will face another run-stopping beast of a defense this week. To add some perspective, the Aztecs held last season’s Heisman runner-up, RB Bryce Love of Stanford, to just 29 yards just two weeks ago. ASU will benefit from the fact that Defensive Coordinator Danny Gonzales spent the past seven seasons at SDSU and was one of the architects of their 3-3-5 scheme (which he has since implemented in Tempe). Gonzales has provided QB Manny Wilkins insight into the nuances to watch in his pre-snap reads. Also, the novelty of this hybrid defense is what Wilkins has practiced against since Herm Edwards brought Gonzales to ASU. One factor that stood out against MSU last week is that defenses are going to prioritize coverage of standout WR N’Keal Harry. That shouldn’t change in San Diego or the rest of the season. Harry’s presence alone served as a decoy on several plays which opened up space in the secondary for Kyle Williams and other ASU receivers to exploit. Williams had 7 catches for 104 yards against the Spartans. Seven receivers not named “Harry” had receptions. Facing the challenge of grinding out a better ground game this week, I expect the Devils to fair better and assert more will in the trenches. However, the passing playbook will be on full display with a lot of play-action and lateral throws in space to keep the Aztec defense off balance. An additional factor that won’t appear on any stat sheet is this coaching staff’s propensity for making smart half time adjustments. When MSU’s defense limited ASU’s rushing attack in the first half with no points, a number of offensive players approached Offensive Coordinator Rob Likens with what they believed would be higher percentage plays. ASU came out with effective changes in play calling, scheme, and personnel that reflected those ideas. It was a success. The Sun Devil “Hell’s Gate” defense is top-ranked nationally against the run. They will face a new dominant SDSU running back. After conceding 216 yards to Rashaad Penny in last year’s 30-20 loss to SDSU, ASU will face Junior RB Juwan Washington who already has 314 yards through two games. With the Aztec’s starting QB Christian Chapman out this week with a knee injury, Junior Ryan Agnew will get his first start and rely heavily on the Aztec running game to carry the brunt of their offensive load via the read option. This plays into the strength of ASU’s defense as long they execute outside contain. MSU had a fair amount of success with end-arounds and screen passes last week. ASU also comes into this contest holding the national lead in sacks. Much of that success starts with their formidable run defense forcing the opposition into obvious pass situations. If the Devils can continue to stuff the run, added pressure will fall upon the inexperienced Agnew to beat the ASU with his arm. A welcomed departure from seasons past, the Maroon & Gold secondary has yet to give up an “explosive” play of 30 or more yards. This is s byproduct of a consistent and relentless pass rush. We have quality depth across the front 7, so the coaching staff’s rotation of players should result in fresh legs against San Diego State. As a unit, the defense has been assignment-sound and greatly improved in open field tackling. A number of players have jumped off the screen upon reviewing footage of the MSU game. Up front, Renell Wren has been a wrecking ball in blowing up run plays. It’s hard to imagine another player in the country who has pancaked more offensive lineman than Wren. ASU’s two true freshmen starting linebackers, Merlin Robertson and Darien Butler, continue to impress with how fundamentally sound and disruptive they are through two games at the college level. Starting Tillman safety Das Tautalatasi’s status is unknown for tonight due to an elbow injury. In his place against Michigan State, Jalen Harvey stepped in and shined all over the field with relentless pursuit and sure tackling. Punter Michael Sleep-Dalton has been an unsung hero in the first two games. He has consistently pinned opponents deep in their own territory with booming punts which have benefitted ASU’s field position through two weeks. Not to be outdone, Kicker Brandon Ruiz won the Pac-12 Special Teams Player of the Week last week after connecting on all three of his field goal attempts, including the game winner as time expired. Additionally, all of ASU’s kickoffs last week resulted in touchbacks. In close games ASU looks to have a decided advantage in the kicking game. Will the Sun Devils bring the same focus and intensity on the road? Will the Sun Devils remain humble and hungry? In Herm, Sun Devil Nation trusts. 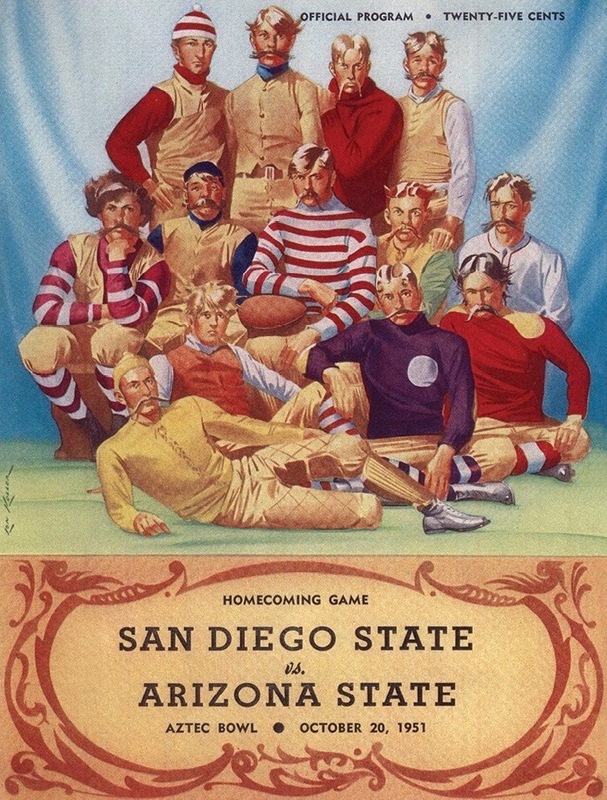 Arizona State vs Arizona Football History: Is the Duel in the Desert Tied?